Lily Tuck has had a wonderful and accomplished career as a National Book Award winning novelist, story writer, essayist and biographer. She is one of our most distinguished contributors to American literature. 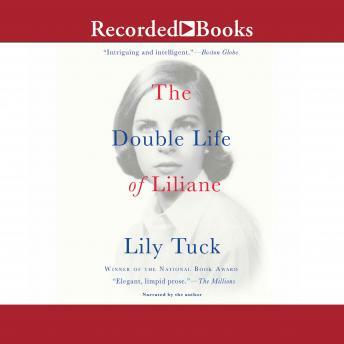 With The Double Life of Liliane, Tuck writes what may well be her crowning achievement to date, and, significantly too, her most autobiographical work. ?? As the child of a German movie producer father who lives in Italy and a beautiful, artistically talented mother who resides in New York, Liliane's life is divided between those two very different worlds. A shy and observant only child with a vivid imagination, Liliane uncovers the stories of family members as diverse as Moses Mendelssohn, Mary Queen of Scots and an early Mexican adventurer, and pieces together their vivid histories, through both World Wars and across continents. ? What unfolds is an astonishing and riveting metanarrative: an exploration of self, humanity, and family in the manner of W.G. Sebald and Karl Ove Knausgaard. Told with Tuck's inimitable elegance and peppered with documents, photos, and a rich and varied array of characters, The Double Life of Liliane is an intimate and poignant coming of age portrait of the writer as a young woman.